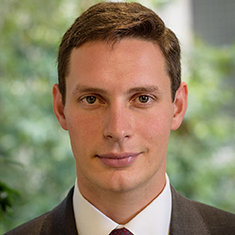 Thomas Nickols is an associate in the Banking practice at Katten Muchin Rosenman UK LLP. Tom represents lenders and borrowers in a variety of cross-border financing transactions, including leveraged real estate (investment and development), specialty lending, trade finance, structured and acquisition finance. He works with a range of overseas clients providing commercial finance to UK and international borrowers. Tom trained and qualified at Katten.